Motorola, Inc. and Sprint today broke new ground with the announcement of Motorola i1, the world’s first push-to-talk Android™-powered smartphone. Sleek and attractive, yet durable, Motorola i1 is the first iDEN device to carry the features of a modern smartphone including a 3.1-inch touch screen, Wi-Fi®, optimized browsing experience with the latest Opera Mini 5 browser, access to thousands of apps and a push-to-talk experience that includes exciting new features. Sprint will begin offering Motorola i1 this summer. With more than 17 years of expertise, Sprint is the industry leader in push-to-talk, serving the world’s largest push-to-talk community with millions of Nextel Direct Connect subscribers on the fastest national push-to-talk network. Nextel Direct Connect® has set the industry standard for push-to-talk worldwide. More U.S. workers communicate in less than a second with Nextel Direct Connect than with any other push-to-talk service. Popular business tools such as Microsoft Document Viewer and corporate sync ensure Word or PowerPoint files can be accessed on the go. Message entry is a breeze with both Android standard virtual keyboard and Swype™ virtual keyboards being offered. A 5 megapixel camera with flash, geo-tagging and panoramic capabilities provides crisp photos and clearly displays them on the vibrant 3.1-inch HVGA screen. Video can also be recorded and stored on a provided microSD for sharing or future viewing straight from the device. The latest Opera Mini 5 browser enables quick browsing over the Nextel National Network and Wi-Fi. The Android browser allows you to see web pages and Flash 8-enabled sites in full view using Wi-Fi. 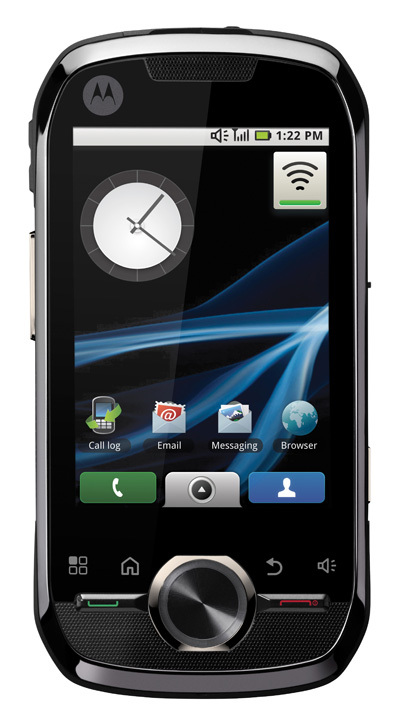 Motorola i1 can be continuously customized with thousands of applications from Android Market™. Application development information for Motorola i1 is available on the Sprint Application Developer web site at www.sprint.com/developer. Sprint offers developers a free sandbox with iDEN capabilities to test their apps. Sprint is a charter member of the Open Handset Alliance™ and the Sprint Application Developer Program has been providing tools for third-party developers since Sprint first launched the Wireless Web on its phones in 2001. In addition, Motorola provides developers with broad market reach through MOTODEV, the company’s global program for developers and independent software vendors (ISVs). MOTODEV offers a streamlined path into multiple distribution channels including Android Market™ and operator channels. 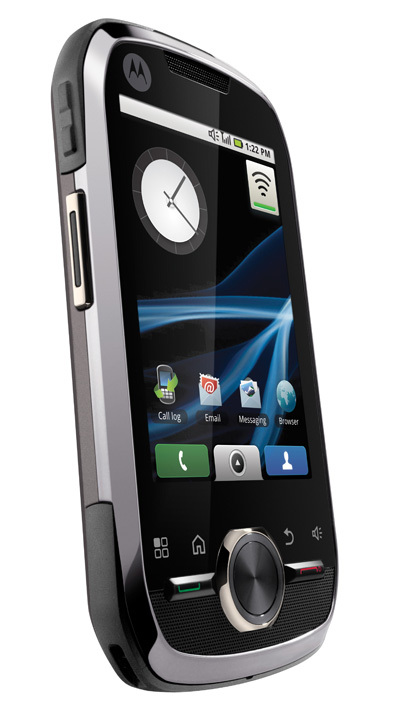 Developers interested in Android application development with Motorola can visit: http://developer.motorola.com. In addition to introducing Android into push-to-talk devices, Motorola is also bringing a new face to its iDEN portfolio: Mike Rowe. Mike has worked as an apprentice at more than 250 of the toughest jobs in America, and his experience and reputation as a hard worker are a perfect fit for Motorola’s iDEN portfolio. The new relationship announced today will feature Mike as a spokesperson for Motorola’s rugged push-to-talk devices. Motorola is also supporting mikeroweWORKS, a public relations campaign for skilled labor that Mike launched on Labor Day of 2008. 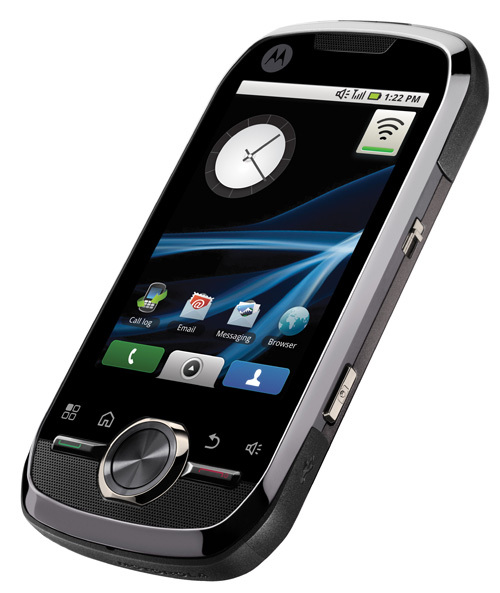 Motorola i1 will be available through Sprint in North America in the summer of 2010. Customers interested in Motorola i1 can pre-register at www.sprint.com/motoi1 or www.motorola.com.